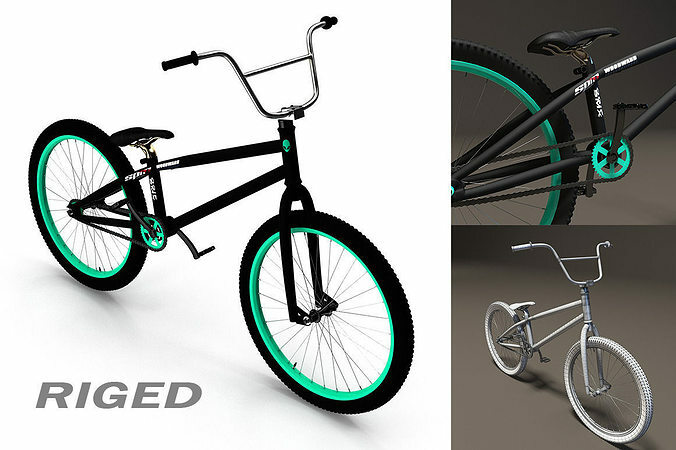 3d model of BMX bicycle. Model is riged and animated - chain, wheal and stearing. Frame, wheal and Head are in PSD file to easy manipulate.